Investors may no longer deduct investment expenses, including those passed through from an investment partnership. Restructuring these expenses into a management company might achieve business expense treatment providing it’s a genuine family office with substantial staff rendering financial services to extended family members and outside clients. The IRS might assert the family office is managing “one’s own investments,” not for outside clients, so the management company is also an investment company with non-deductible investment expenses. Before you go in that direction, it’s wise to learn the lessons of the Lender Management court case from December 2017, which is one of the first on family offices. A single-family office serves one ultra-wealthy extended family, whereas, a multi-family office handles more than one family. Well-established single- and multi-family offices offer a wide variety of financial services, including wealth management, financial planning, accounting, tax, and personal finance. They have substantial staff and salaries, offices, equipment, and operations — the markings of an independent financial services company. - It’s a functional financial services company with significant staff and salaries, an office, equipment and bona fide operations. - It operates in a continuous and business-like manner. - Its staff has expertise that is valuable to its clients. - A profit-allocation of capital gains is considered advisory fee compensation for services rendered. It gets paid more than just its share of profits based on capital. - It should be profitable. - It caters to many extended family members with diverging financial needs. It does not operate with a single mindset but provides customized services to each family member. - Family members and their investment partnerships are not obligated to use the family office. - There should not be a majority of common ownership between the management company and investment partnerships (this factor is critical). - It’s safer to have third-party clients who are not family members (a suggestion, not a requirement). Consider this typical example: An investment partnership pays a 0.5% management fee on funds under management of $1M ($5,000 per year). The investment partnership also pays a 20% profit allocation (carried interest) based on performance (say, $50,000 for the year). The investment partnership passes through an investment expense of $5,000 for the management fee, which the investor cannot deduct on their tax return. The profit allocation avoids the investment expense deduction problem because it carves out a share of capital gains on each investor’s Schedule K-1. The management company reports $5,000 of revenue for the management fee, which gives the impression of being a trade or business. However, that’s not enough revenue to cover expenses, so it lacks presumption of business purpose. The management company also reports capital gains income of $50,000 from the profit allocation of investment income. Total income is $55,000 minus business expenses of $52,000 equals a net income of $3,000. The capital gains help satisfy the presumption of business purpose test. The owner sacrificed the $5,000 deduction in the investment partnership to arrange $52,000 of deductions in the management company. However, the IRS might disallow the entire $52,000 deduction, asserting the management company is also an investment company with non-deductible investment expenses because it did not satisfy the requirements for a family office under the Lender court. Assume a hedge fund manager owns the management company, which deducts business expenses. The hedge fund partnership does not qualify for trader tax status, so it’s an investment partnership. Most hedge funds meet this scenario. The management company is genuine, and there is little common ownership because the hedge fund is predominately owned by outside investors. That satisfies the Lender court requirements for a management company. It might be different for a startup hedge fund before outside investors become limited partners in the limited partnership. Until and unless that happens, the manager is managing his own investments, and it fails Lender. The limited partnership is probably not paying the management company advisory fees including profit allocation in connection with the managers capital. In Lender Management v. Comm. (Dec. 16, 2017), the tax court overruled the IRS by awarding business expense treatment to Lender Management. It was a well-established single-family office servicing many family-owned investment partnerships. 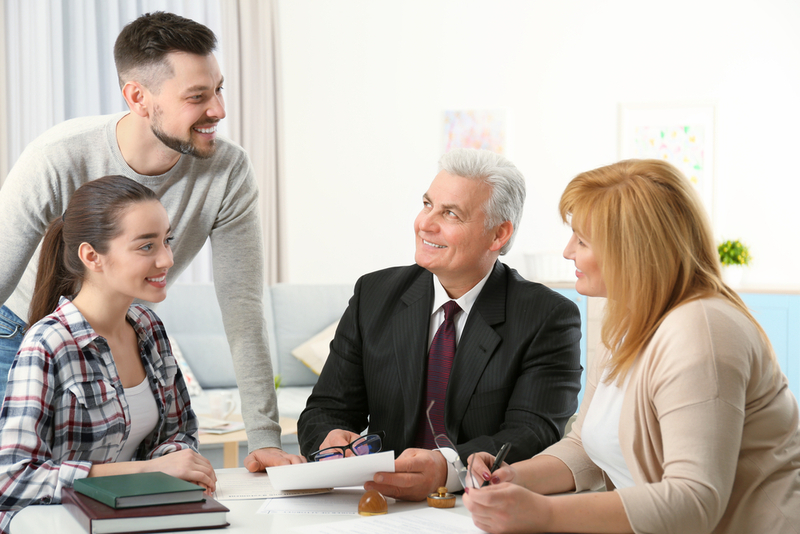 Lender provided customized investment and management services throughout the year to many different family members, with varying needs, across an extensive family tree. Lender Management and the investment partnerships did not have too much common ownership according to IRS and tax court calculations. Only a few of Lender’s dozens of family members owned the management company. The IRS was unable to cite attribution rules that should apply to Lender. The Lender case also dealt with how to handle revocable vs. irrevocable trusts in the overlap test for common ownership. The Lender court did not define how much overlap ownership is permitted. In Higgins, replace the words “business” for “investment” and the outcome is favorable: “Overseeing the management of one’s own businesses is generally regarded as the work of a business.” If there is a trading partnership with trader tax status, or a rental real estate partnership with ordinary income, then the management company can look through to the business treatment. Some families and tax advisors are considering a C-Corp management company to take advantage of the new tax law’s 21% flat rate. Be sure the management company meets the Lender court requirements for a family office. Otherwise, the IRS does not permit a C-Corp investment company to deduct investment expenses. Section 212 (investment expenses) applies to non-corporate taxpayers, not corporations. A C-Corp with a trade or business is entitled to deduct business expenses in connection with making ancillary investments, like investing treasury capital. Family offices might want to consider having more of their underlying investment partnerships achieve business treatment, like trader tax status or rental real estate income. If a family office does not satisfy the requirements, and it services investment partnerships and business partnerships, it might consider using hybrid reporting to apportion business expenses vs. investment expenses. Wealthy families diversify their interests and invest in family-owned investment partnerships in securities and commodities, outside hedge funds, private equity funds, venture capital funds, and real estate partnerships and REITs. Consult a tax advisor to learn more about which underlying investment partnerships have investment expense treatment vs. trade or business activities. Darren Neuschwander, CPA, and Roger Lorence, Esq., contributed to this post. This entry was posted in Entities, Investment Management and tagged entities, family office on June 28, 2018 by Robert Green.